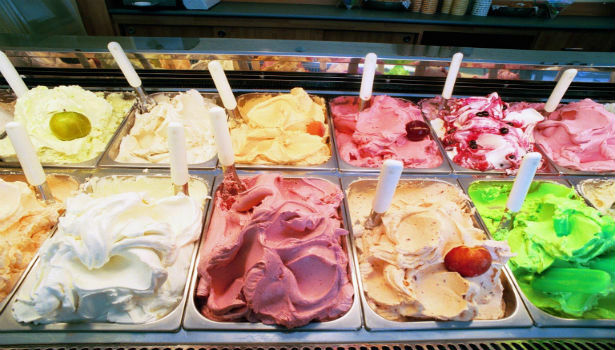 Do you know your gelato from your ice cream? Unlike ice cream which is much higher in butterfat and stored at -18℃, gelato is made using less fat, 50% less air than ice cream and is served at -15℃. 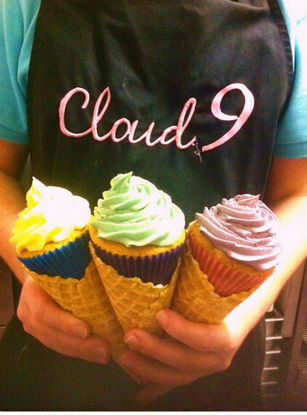 Cloud 9 is a truly delicious kind of place. They are passionate about everything sugary and sweet, but remain dedicated to using the best natural ingredients and avoiding artificial mass-produced products. They offer takeaway 500ml tubs starting at £2 per scoop, or you can have your ice cream on a hot waffle or in a waffle cone, with a wide selection of toppings. 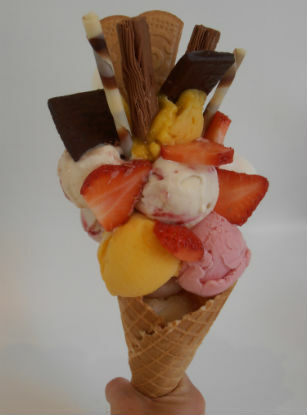 All the ice cream is made fresh on site, with different flavours available every day. Peanut Butter and the Cloud 9 Chocolate Dream are our favourites, but if you’re a bit more adventurous you could try Garlic Galore or Blue Cheese for an after dinner treat! 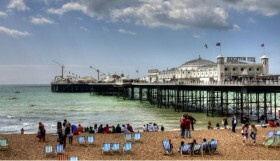 A Brighton institution, Marroccos has been open on Hove seafront since 1969, serving authentic Italian food and ice cream. 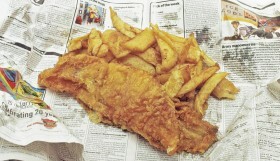 Many of Marrocco’s customers are now the fourth generation of residents to sample one of Hove’s traditions. Run by Pietro Marrocco, his Dad was passionate about ice cream, getting up at 4am every morning to ensure there was always enough to go round and in his own words “getting just right”. Not much has changed at Marrocco’s since ’69 apart from they now have 24 flavours including yoghurt, sorbet and the ever popular blue bubble gum flavour. Eat in or take away in a waffle cone or a tub. 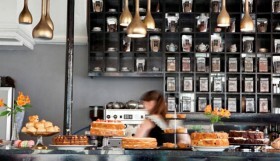 At Boho Gelato their aim is to make the highest quality truly artisan gelato and sorbet and to have fun with flavours. Every day at the shop they offer 24 ever-changing Italian ice cream flavours ranging from Vanilla to Violet, Mango to Mojito and Apple to Avocado! They boast an ever growing list of over 325 flavours which is mind-blowing, including a vegan-friendly sorbet. All the ice cream is handmade on site daily at the shop, which is off East Street near the Palace Pier. 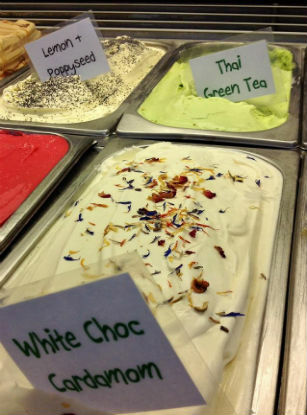 Recently voted in The Telegraph’s top ten ice cream parlours in the country, Boho Gelato is one not to miss. Scoop & Crumb is an independent cafe which sources its ingredients locally and produces its food with a passion for taste, beauty and fun. It claims the largest menu of ice cream sundaes and waffles in the UK, and loads of delicious and unique ice cream flavours. Situated in a Scandinavian- inspired light and airy cafe with relaxed seating over two floors on East Street, Scoop & Crumb is one of Brighton’s coolest cafes. 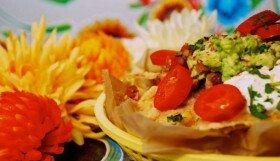 It is great for kids, who will no doubt adore the eye-popping sundaes and sweet treats. Enter their monthly competition by uploading your Scoop & Crumb photos to their facebook page to win a voucher! 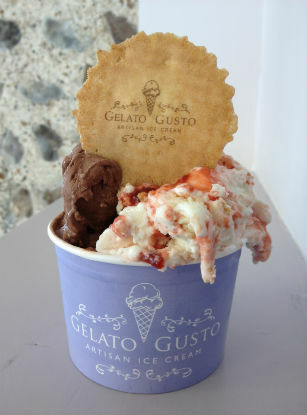 Gelato Gusto is a premium ice cream parlour selling indulgent ice cream treats served up by a friendly team in the heart of Brighton’s North Laine. 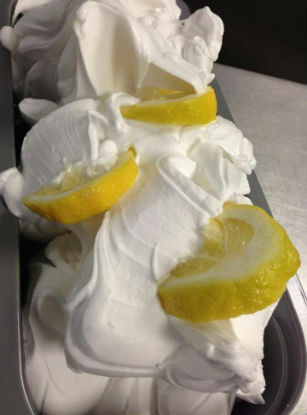 They make the gelato each day above the shop in small batches using fresh produce from a local Sussex dairy. They have over 20 flavours ranging from Sea Salt Caramel, Dark Ecuadorian Chocolate, Blueberry, Banoffee Pie to Syrup Sponge Pudding and Jaffa Cake. Gelato Gusto also makes up to 10 constantly changing sorbetto flavours. Tantalising special guest sorbettos include Lychee, Guinness, Tomato & Basil, Gin & Tonic, Kibana, Mojito, Prosecco, Pink Grapefruit & Pear & Parmesan. A truly tempting gourmet selection!